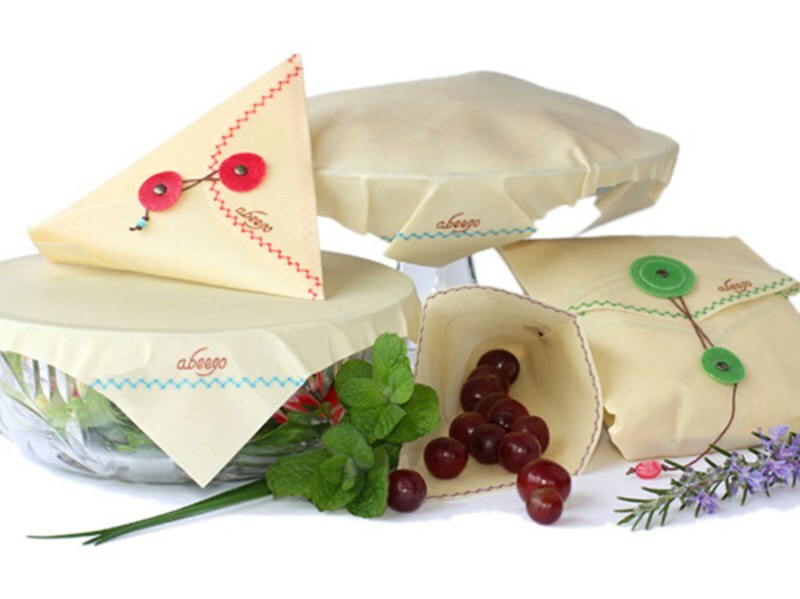 If you’re looking for a stylish way to keep your child’s homemade packed lunch under wraps, then you have to see Abeego’s gorgeous and reusable food wraps. Abeego wraps are made with 55% hemp /45% cotton fabric, infused with beeswax and plant extracts. The beeswax is naturally antibacterial while the hemp fabric is antifungal. The plant extracts used in the wraps have antimicrobial properties and all of the materials are FDA approved for food contact. 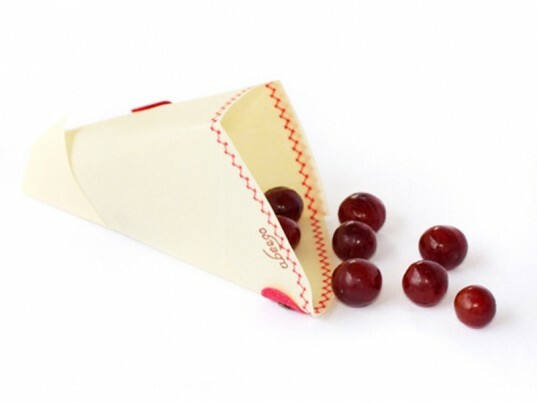 Abeego Snack – a triangular pocket that’s designed to hold nuts, crackers, veggies and dried fruit. Abeego Wrap – is a bigger wrap and can hold sandwiches, fruit and other larger items. Abeego Square -can be used to wrap a piece of fruit, cheese or some veggies, plus is perfect for use at home as an alternative to plastic wrap to cover dishes (great for leftovers). Abeego is not dishwasher suitable but is easy to hand wash in cold, soapy water. Eliminates the need for costly and disposable plastic baggies, plastic wrap and foil. Can be used for foods of various sizes such as vegetables, fruits, cheeses and breads. Abeego coating is fluid resistant, so saucy foods are no problem. Both snack and wrap are available with your choice of red, green, blue or purple accent color.